Grill off weekend! What can’t you grill? With Memorial Day weekend coming up its time to break out your grills! Whether charcoal or gas, grilled food outside just taste better. This week we’ll share a couple of easy crowd pleasing recipes that you can grill up! This is a recipe I grew up with. Every time we grilled Dad would slice up some potatoes and onions, sprinkle some Tony’s on it, wrap em in foil, then throw them on the grill. It made the entire dinner come off of the grill, no need to dirty up the stove. First get your grill nice and hot, these potatoes you’ll want to put on ahead of time to cook before your burgers. Make 2 sheets of 1ft long tinfoil laid next to each other, slightly overlapping by 5 inches. This is going to make our tin foil oven. 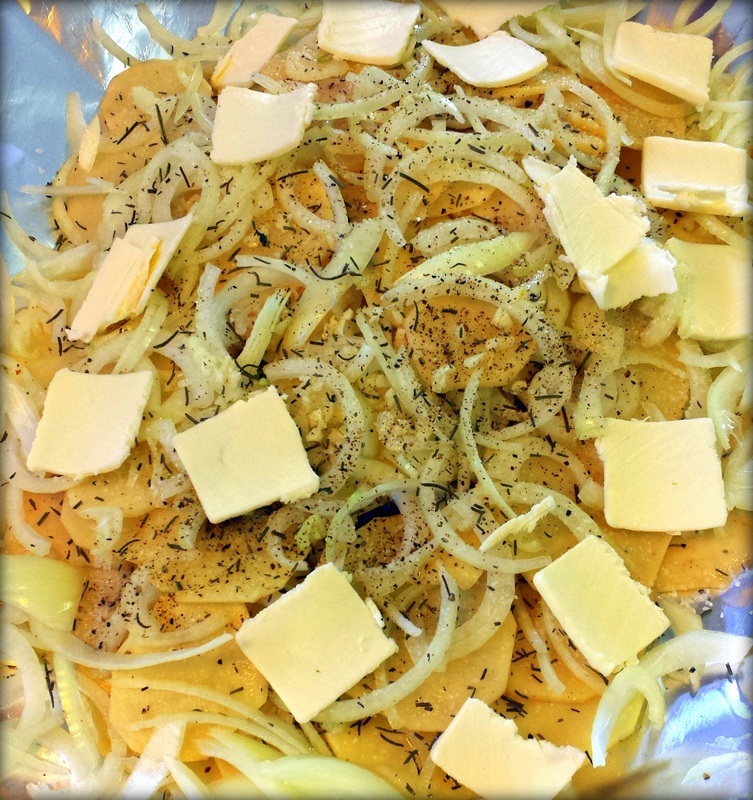 Place a layer or potatoes on in the middle, then a light layer of onion, and a few pats of sliced butter, lightly season with cajun seasoning. Repeat the layers till all ingredients are used up. Wrap the tinfoil around everything and completely seal everything up. Make a small hole in the top, add a couple of tablespoons of water, this will help steam everything. Place pouch on the grill on indirect heat and grill for 45 min- 1 hr, until taters are tender. Try seasoning with fresh chopped garlic scrapes and rosemary! The grill isn’t just limited to burgers and weenies, veggies can have grill lovin too! 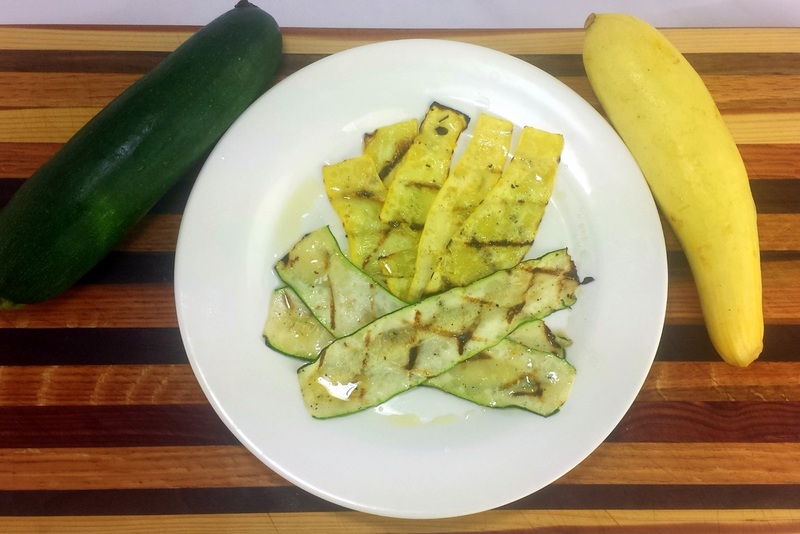 Most veggies you can slice, rub olive oil on, and season with garlic, salt and pepper then toss on the grill. In this weeks bag you can try this on zucchini, squash, bell peppers, and your onions! What’s your favorite veggies to grill? Let us know in the comments! Even if you have the best quality ingredients and top-of-the-line kitchen tools to use, your recipes can sometimes flop. I’ve learned this the hard way, using my tools incorrectly or inefficiently. Last week I thought it would be a good idea to use the crockpot to make some vegetable lasagna. I’ve seen it done before, should be no problem! Well… Instead of individual layers of ricotta, tomato sauce, and mushrooms & spinach, it turned into a giant indiscernible pot of vegetable mush. Apparently zucchini noodles I made with my mandolin don’t hold up as well as real lasagna noodles.. But lesson learned! Oven vegetable lasagna probably works better than the crockpot version. Technique is important to learn. 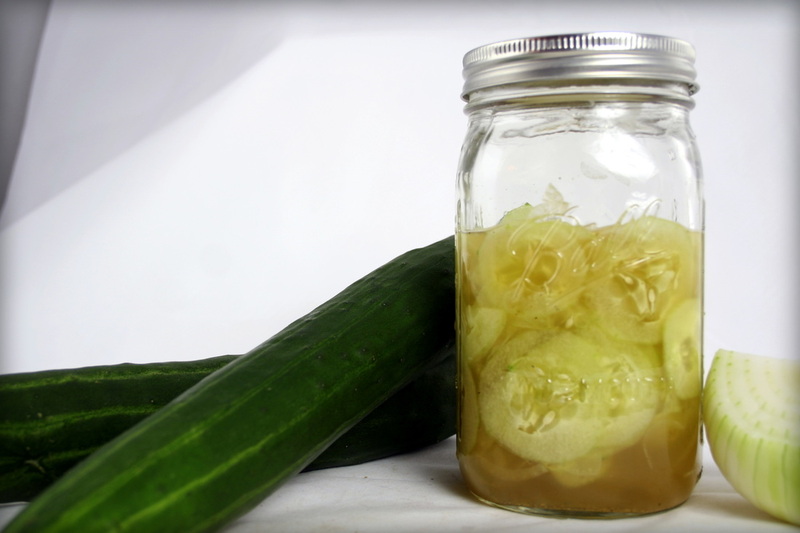 One of the best examples I’ve learned was from my mom’s sweet and sour cucumber salad. She always told me the secret to this dish wasn’t in the ingredients, but how thin you cut all your veggies. That is what made it delicious. This week I’ll share the recipe and technique! 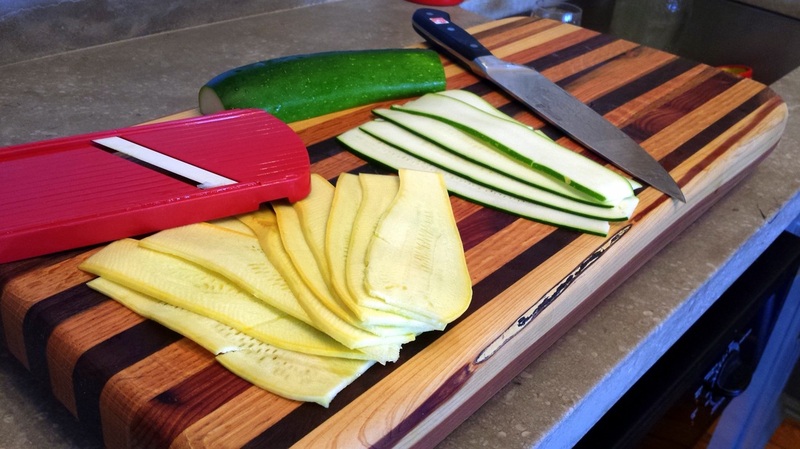 The mandolin is one of my favorite kitchen tools, it make simple slices so easy, saves time, and is perfect every time. A mandolin makes perfect slices of whatever you run over it, making it ideal for cucumber slices, super thin onion slices (paper thin onion slices are divine if you’ve never had any! 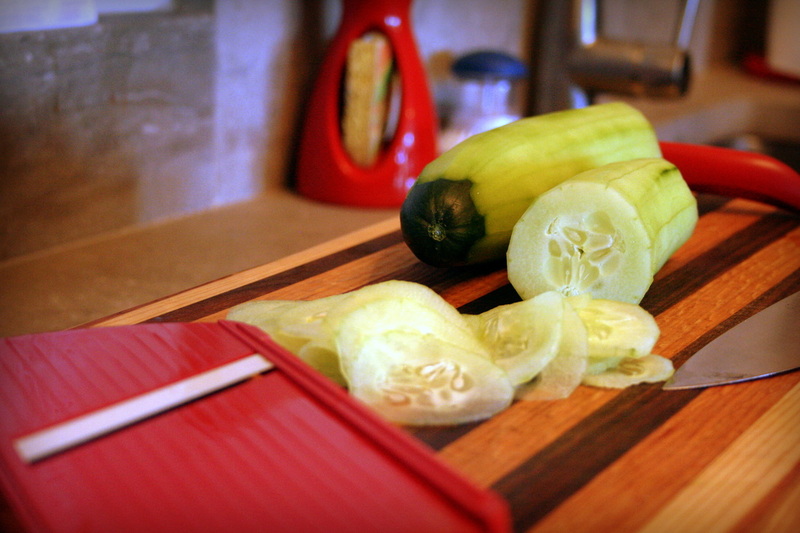 ), zucchini, and more. This mandolin by Kyocera is my favorite to use, It has a porcelain blade so it stays sharp and does not rust. Look for that if you’re shopping in the market for one. The Kyocera also has adjustable settings for thickness, a must have feature. This is a handheld unit, there are table top units with more attachments and different blades for making shoe strings, and more, you can spend hundreds of dollars on a big stainless steel set, but this one has the price set right, and I mostly only ever need the slice setting anyway. In a large bowl, combine the sugar, water and vinegar and whisk to dissolve the sugar. Add your mandolined cucumbers and onions and stir with a spoon to cover all with the juice. Season with the salt and cracked black pepper. Let sit for at least 3 hours in the fridge to infuse the flavors, this salad is best served the next day and only gets better as it sits. Notes: Because the cucumbers and onion are sliced so thin, the sweet & sour dressing easily flavors them and vise versa, the dressing is flavored by the onions and cucumber. If your onion is particularly strong, feel free to add less than the recipe calls for. 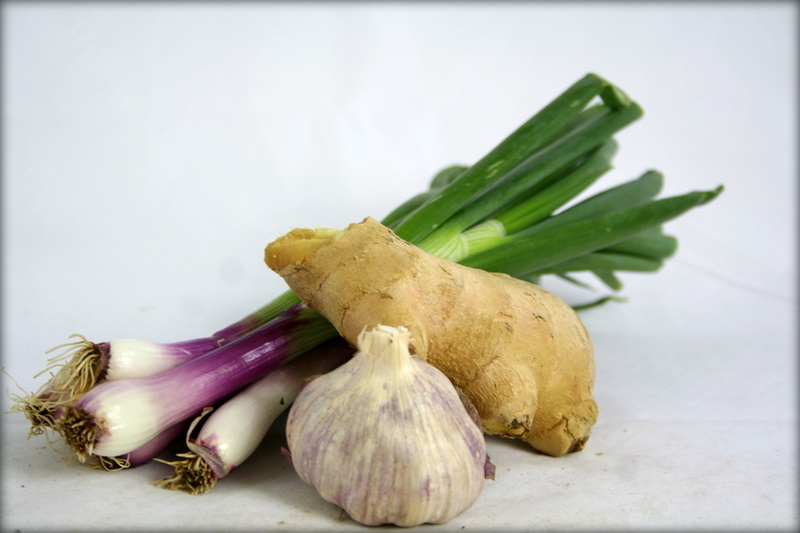 I couldn’t pass up the opportunity to use this fresh ginger and garlic in this weeks bag! 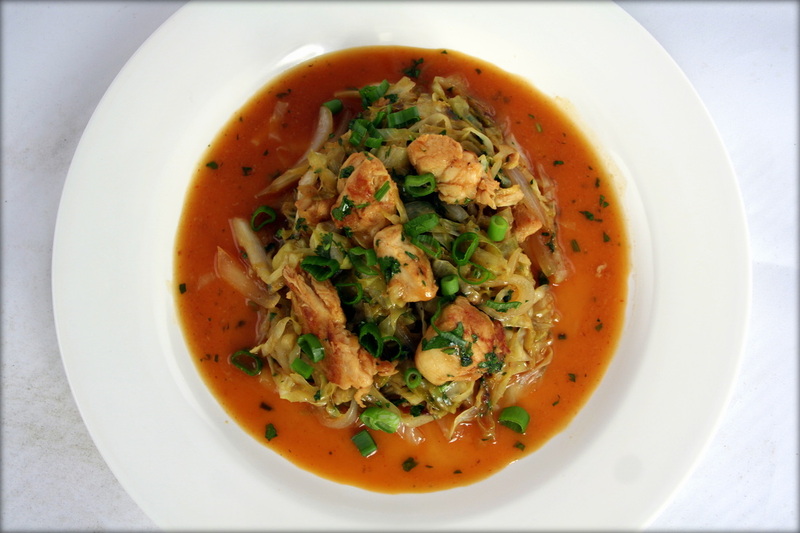 You can make a simple, yet flavorful and delicious restaurant quality stirfry. Happy Cinco de Mayo! Fennel & Citrus Salad Time! This weeks bag gives you the opportunity to enjoy some of the colorful flavors of Mexico! This fennel salad is packed with flavors and textures of fresh oranges and grapefruit paired with bright tasting cilantro in this sweet and tangy honey cilantro dressing. 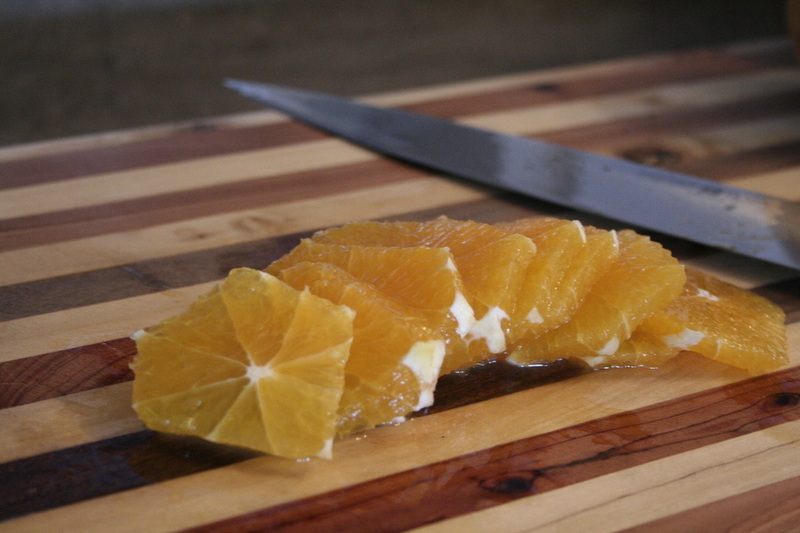 This week learn how to make citrus segments, making oranges and grapefruits meat a delicate treat. Add all of your sliced fruits and vegetables in a large mixing bowl. In another small bowl add the lime juice, oil, honey, and cilantro and whisk together until combined. Season with salt to taste. pour over all of the fennel salad in the other bowl and toss to coat. 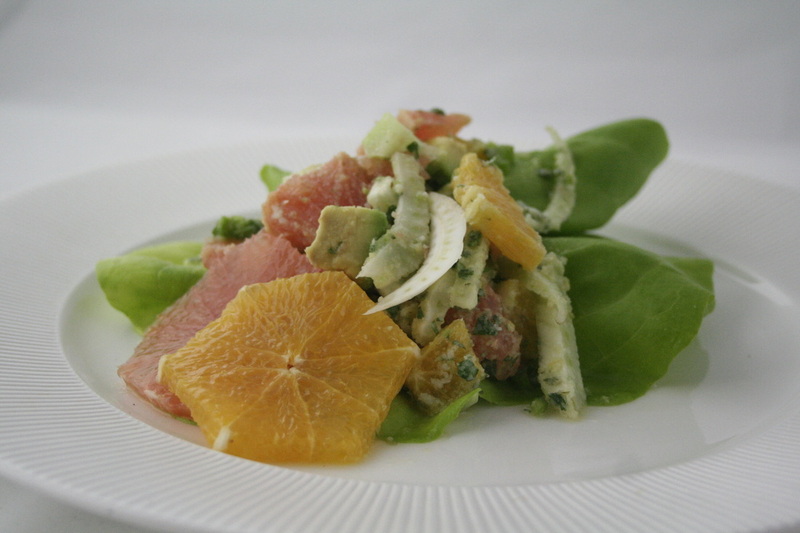 Dollop the finished salad on a Boston Bibb lettuce leaf and enjoy! 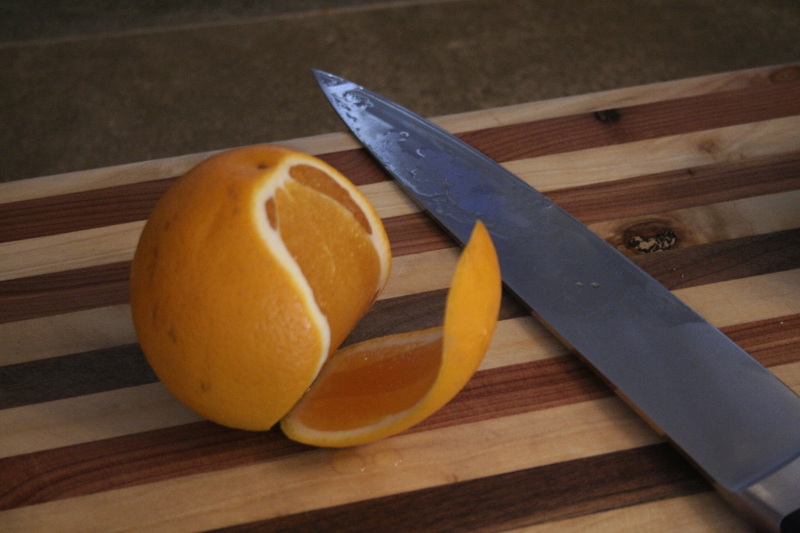 With a very sharp chef’s knife or long serrated knife do a curved cut from top to bottom on your citrus. Repeat this cut all the way around the fruit until all the peeling is gone. 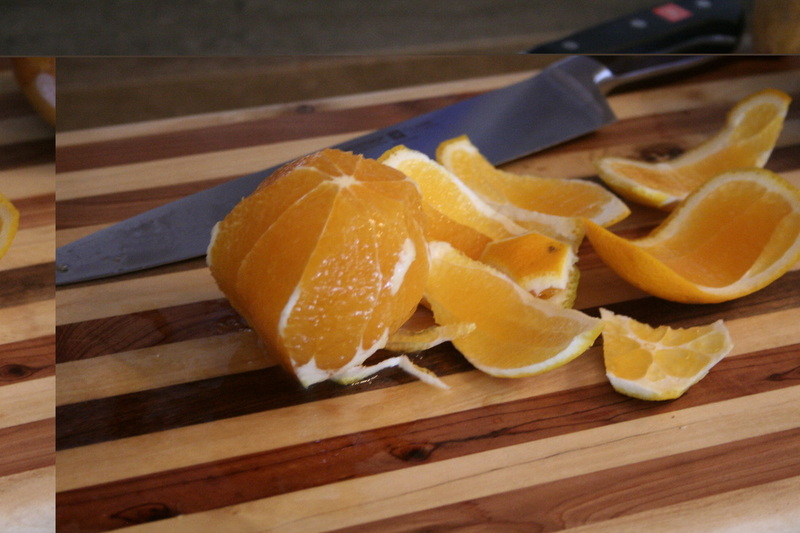 Make sure to cut as much as the pith (the white stuff) off with each cut. The pith is bitter and will change the flavor of your fruit. slice your citrus into thin slices, then quarter the slices for the salad. Leave one slice for garnish.